If the knowledge that it takes an average of 450 years for a plastic bottle to degrade in a landfill isn’t enough to motivate you to recycle your plastic milk jugs, detergent and shampoo bottles, how about this one—containers with a recycling symbol 2 (high density polyethylene or HDPE plastics) can be repurposed into stylish, colorful “lumber” that can be used to make durable and maintenance free decking and outdoor furniture. This is not the flimsy, blows all over the patio, and looks cheap plastic chairs and side tables that may spring to mind. This new generation of synthetic outdoor furniture is made from individual boards of “lumber” that are made from those old plastic jugs. It’s thicker, heavier, more substantial and a lot better looking that molded plastic furniture of yesteryear. The price tag reflects the upgrade, but given the fact that most manufacturers guarantee it for 20 years or more, it’s worth it. This stuff doesn’t fade, rot, warp, crack, or give you splinters. You can leave it out all winter long, perfect for around a fire pit or front porch. 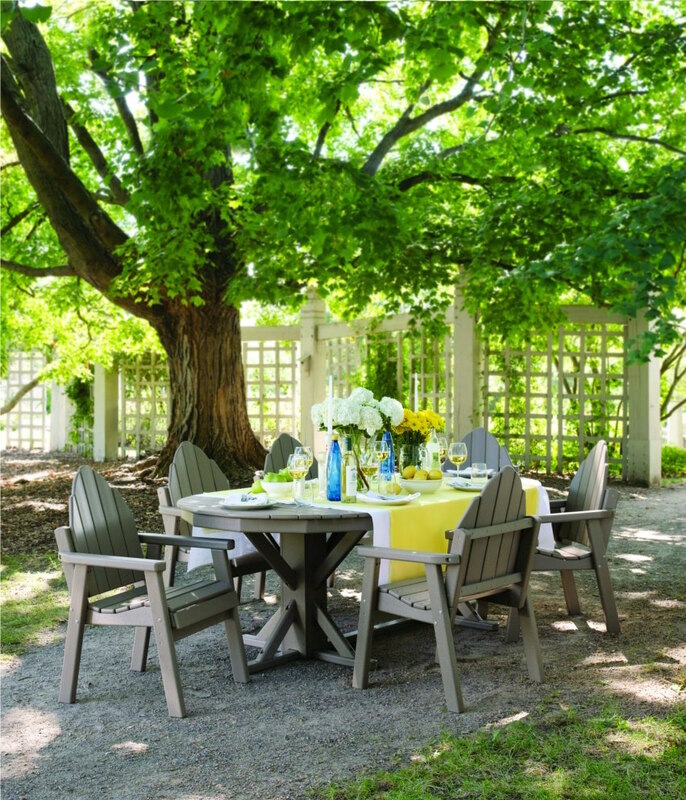 Consumers tired of replacing, repairing or refinishing wood furniture are taking notice. The fact that it’s eco-friendly—recycled and recyclable—gives them one more reason. 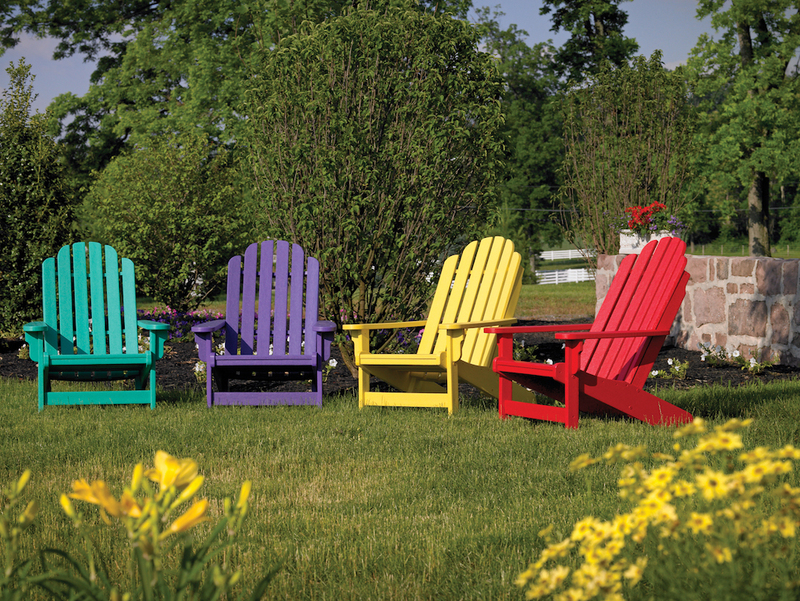 By The Yard, a company based in Minnesota produces and sells hundreds of styles of recycled plastic furniture, from dining sets to Adirondack chairs, online and at their showroom in Jordan. Other manufacturers such as Polywood Furniture and Breezesta can be found at national retailers, such as Bambeco and Target, and at Woody’s Furniture in St. Louis Park. Beautiful rambler with lovely remodeled kitchen in popular, wooded Indian Hills neighborhood of Edina. This home is designed for families and entertaining with main floor family room. Mature trees adorn the backyard offering great privacy. 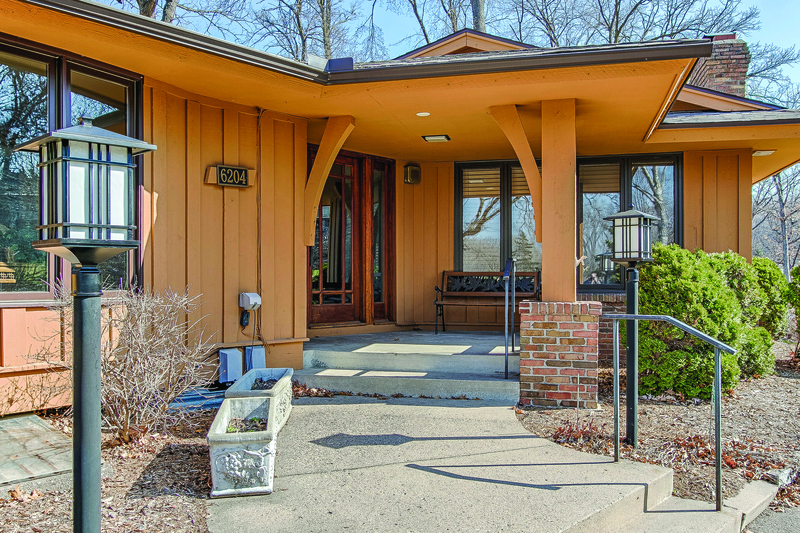 Conveniently located close to schools, dining, shopping, and Braemar Golf Course.